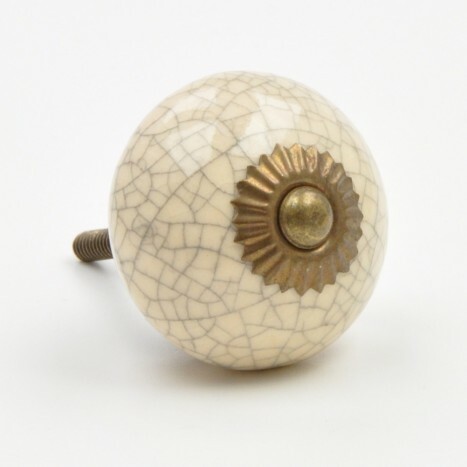 This crackled cabinet knob brings a true inspirational vintage tone to any placement. Its classical form is detailed with an interesting scatter of abstract lines. Have a hint of vintage beauty in your home by choosing to decorate your high-quality furniture with this simplistic but enticing design. The glazed ceramic body augments the class and purity in appealing design. Tags: egg shell finish cupboard knob, crackled egg shell knob, cracked cabinet knob, cracked ceramic drawer knob.